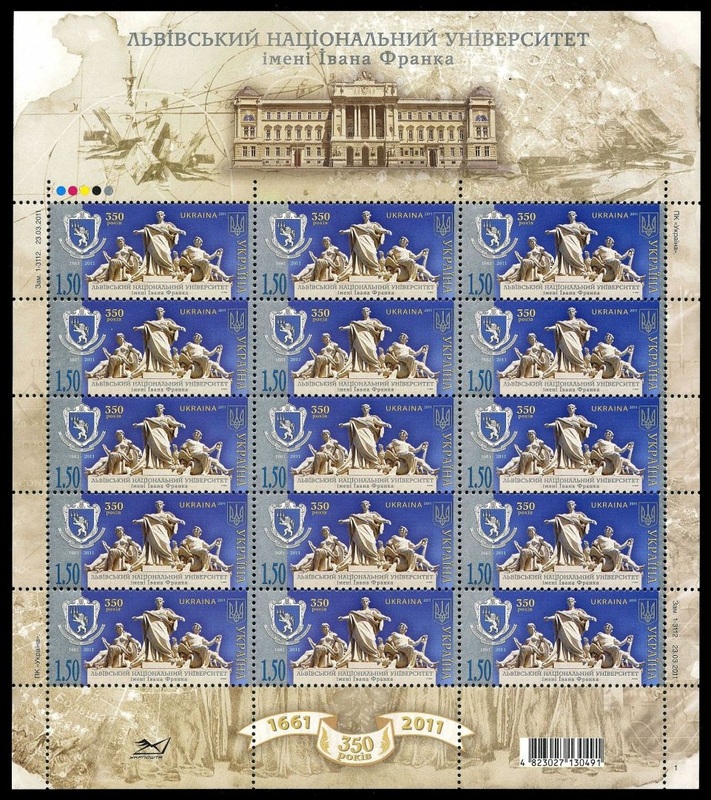 Ukraine 2011 "350th Anniversary of Lvov National University"
Ivan Franko national University of Lviv is the oldest university in Ukraine, established in 1661. 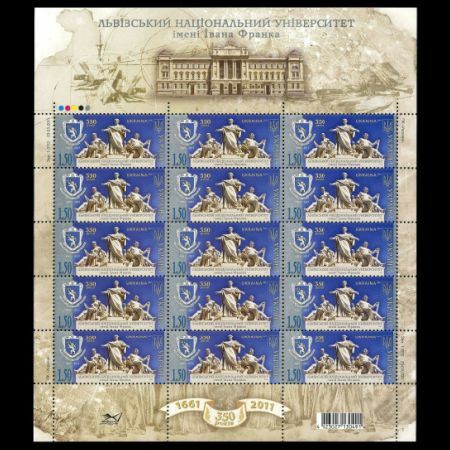 The university, one of the leading national Universities in training experts for education, research and industry in Ukraine, was renamed for the great national Ukrainian writer, poet, and statesman, Ivan Franko (1856-1916). The University was granted the prestigious status of National on 11 October 1999. 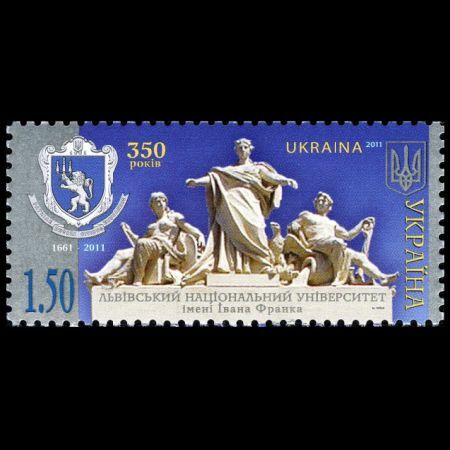 It was awarded the highest, fourth level of accreditation by the Ministry of Education and Science of Ukraine (Certificate No.149740 of 13 Dec 2003). The University is also licensed by the Ministry for teaching international students (License No.328968 of 30 Aug 2007). They offer degrees in 81 majors. Language of instruction at the IFNU is Ukrainian. Study at the department chosen will be preceded by prerequisite courses at the Preparatory School during 10 months. Geology Faculties is one of many others where student can obtain academic degrees. There are also Paleontological Museum on the faculty. PALEONTOLOGICAL MUSEUM OF THE LVIV NATIONAL UNIVERSITY Paleontological Museum of the Lviv National University was founded in 1852-1853 by the professor of botany G. Lobazhevskyi. 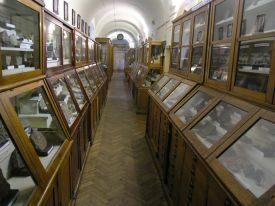 Till 1895 geological, geognostic and mineralogical cabinets existed at the Lviv University. In 1905 the museum collection was divided, and great part of it was handed down to the new Geologic-Palaeontological Institute. Professor Zyber (the first head of the Geologic Department) in 1905 initiated the foundation of Geologic Museum as separate independent unit. In 1963 the Geologic Museum moved to the University building on 4, Hryshvskyi st., where it is situated now. In February of 2002 the Geological Museum was renamed in Paleontological Museum. It was done according to the decision of the Scientific Council of the Faculty of Geology. The collection of samples of rocks and remnants of fossilized fauna and flora from different regions of the world, that compose base of the Paleontological Museum of the Lviv National University, was founded as far back as the beginning of the 19th century. L. Tseishner was the first to begin the collection of paleontological samples in 40s of 19th century. Lomnyzkyi, Semiradskyi and Fridberg replenished museum funds having contributed new collections during the second half of the 19th century and at the beginning of the 20th century. Great contribution to replenishment of the museum collections made famous polish geologists Pazdro and Kokoshinska. The museum collections are permanently replenished by unique samples. Now there are nearly 18 thousands of rare geologic ones (mostly paleontological), found in different parts of the world (Arctic, Australia, Asia, Europe, England, Germany and etc.). In Paleontological Museum a unique exposition of mammoths is placed. Prettily interesting are samples of the artificial instruments of primitive peoples found on the territory of Western Ukraine. The most valuable museums samples are paleontological collection of Mesozoic and Cenozoic periods found in Western Europe. 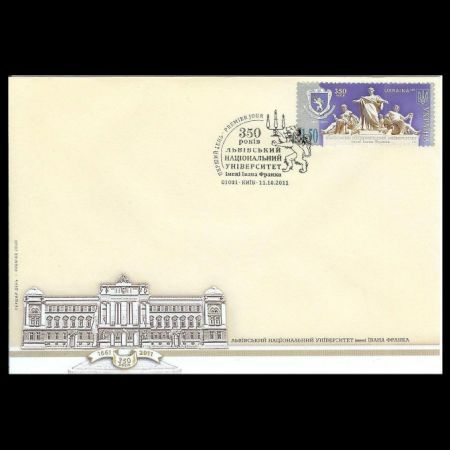 Based on the museums materials 40 scientific works were published. Museum exposition is used by students of geologic, biological and geographic faculties of Lviv National University. Museum is also visited by students of other institutes of higher education of Lviv, Kyiv, Rivne, Drohobych, Lytzk and by visitors from abroad too. Using museum funds is an integrand part of studying and scientific work. Fossils of ancient plants and animals, skeletons, the shells allow to create a life evolution picture on our planet during million hundreds years.